The body consists of seven chakras or energy channels that affect the function of the respective organs that belong within that chakra. There are different types of essential oils best suited when treating or promoting function in the individual chakras to ensure that you can enjoy the most benefit from using these healing oils. 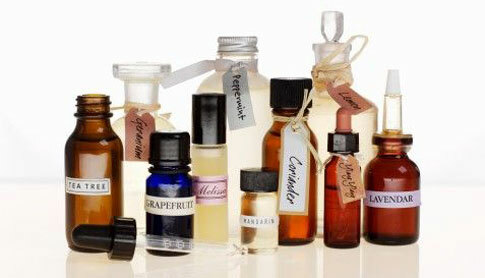 To learn more about choosing the best essential oils for your chakras, read further below. The root chakra represents the foundation of all chakras. It represents your stability, which is why keeping your root chakra open is very important such that you can create a connection between your physical and mental body. When it is closed, it could lead to fear and paranoia, while affecting your blood pressure and circulatory system. The best essential oils for opening your root chakra include peppermint, cedarwood, carrot, clove, patchouli, ginger, benzoin, vetiver, frankincense, myrrh, cardamom, oakmoss, laurel, and sandalwood essential oils. Your sacral chakra consist of your individual personality, which is important in terms of building trust, creating intimacy, and maintaining balance between your desires and pleasures. When your sacral chakra is open, it is easier for you to develop healthy attachments but if it is closed, you feel more withdrawn and develop fear due to feelings of insecurity and constant suspicion. As an effect, you have lower sexual drive. The best essential oils for your sacral chakra are ylang ylang, petitgrain, myrrh, coriander, rose, geranium, clary sage, jasmine, cinnamon, tangerine, pine cypress, oak moss, rose geranium, and patchouli essential oils. Your navel power represents the center of your power, will, and metabolism. It is important to produce positive vibrations in your navel chakra because it affects your self-confidence. On the other hand, the stronger the energy is in your navel chakra, the better able it is to protect itself against negative energies. When your energy in the navel chakra is low, you become passive, indecisive, and apathetic. On the physical aspect, you become vulnerable to constipation, indigestion and other related illnesses. The best essential oils for the navel chakra are lemon, ginger, carrot, juniper, melissa, rosemary, oregano, vetiver, peppermint, citronella, spikenard, ylang ylang, lemongrass, cade, cedarwood, marjoram, vetiver, cinnamon bark, cardamom, and valerian. Obviously, the heart chakra represents love and is responsible for developing feelings of empathy, sympathy, and sensitivity to others’ feelings. If you can take advantage of this chakra, it could possibly unite oppositions while merging both mind and body. On the physical aspect of your heart chakra, using the right essential oils could prevent certain diseases such as high blood pressure and other cardiovascular conditions. The best essential oils for your heart chakra includes melissa, frankincense, bergamot, carrot, lavender, oregano, black pepper, marjoram, sandalwood, tansy, hyssop, laurel, spikenard, camphor, and cinnamon bark essential oils. This chakra represents your ability to communicate. Hence, this is your means of manifesting your desires or expressing yourself, through art and communication. When your throat chakra is open, it facilitates in the process of efficient communication. On the other hand, when it is closed, you have difficulty expressing your true self. You could also be at risk for thyroid problems, inflammations, chronic throat ailments, among others. The best essential oils for your throat chakra are Roman and German chamomile, catnip, cypress, spruce, carrot seed, lavender, spearmint, frankincense, and geranium essential oils. This chakra enables you to see, visually and intuitively. Aside from the physical act of seeing, it offers you with clairvoyance abilities for deeper insight into things that you cannot physically see. It also represents your ability to make visions and dreams. If this chakra is not working efficiently or is not open, you could develop a depress thyroid, respiratory problems, and other such conditions. The best essential oils for your third eye chakra are cedar, spruce, terebinth, rosemary, oregano, thyme, linden, everlast, and clary sage essential oils. This is the utmost form of chakra in the body, such that it bridges the connection between you and the outside world. By keeping your crown chakra open, you become open to others and can gain a deeper level of wisdom. You are also better able to establish spiritual connection through your crown chakra. Physically, any problems in your crown chakra are manifested through cramping, and bladder problems. The best essential oils for your crown chakra includes cistus, myrrh, angelica, lavender, rose, basil, rosemary, and ravensara essential oils.